We offer single girder overhead cranes up to 25 tonne and 30 metre span. 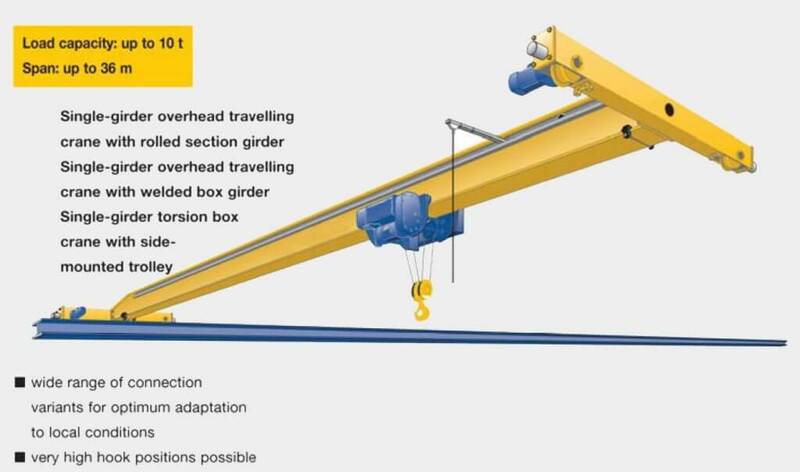 Single girder overhead cranes are the most cost efficient option for an overhead crane. Our single girder overhead cranes come standard with lightest wheel loads along with low headroom hoists equipped with variable frequency drives on both hoist and trolley. end stops and unnecessary load swing. 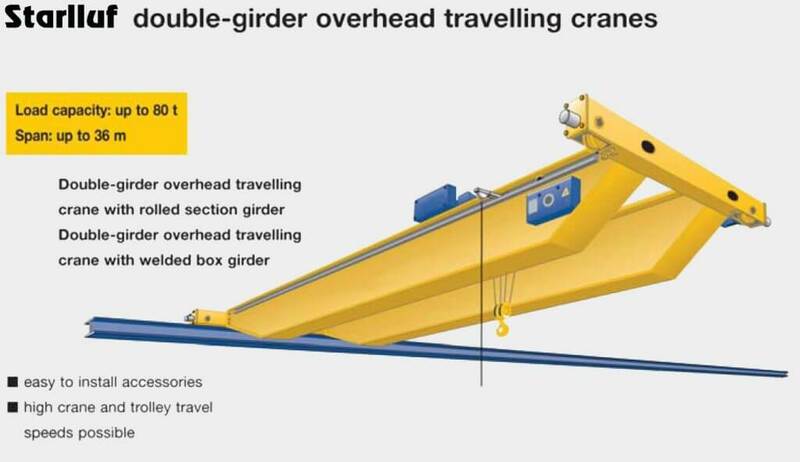 Cranetec Double Girder Overhead Cranes are generally utilised in capacities over 10 tonne and spans approaching or exceeding 20 metres, although double girder overhead cranes can be used at any capacity to span where extremely high lifts are necessary. This is because the hook can be lifted up between the girders. Double girder overhead cranes are an excellent choice where high speeds and heavy service are required.